To better understand various trading business ideas, it good we start by defining what trading is. Trading is the art of buying and selling securities or commodities on a short-term basis, hoping to make profits. There is so much information about securities trading and it would be better we dwell more on commodities trading business. Commodities are goods that have a universal price around the world. Gold, for example, has the same price per ounce in south Africa and china. Commodities are not strictly limited to elements like gold. A commodity can be refined from a raw material like oil is refined from petroleum or mined directly from the Earth, like metal, or it can even be an agricultural product like eggs and honey. Here are the most popular global trading business ideas. It is important to note that this list is only for the most popular commodities and it is not exhaustive as there are so many other commodities traded internationally. The beauty of trading business is that you can do it locally or internationally. Even though international(import/export) trading is more lucrative, it requires huge capital investments and you might be required to look for financing from your bank or other sources. 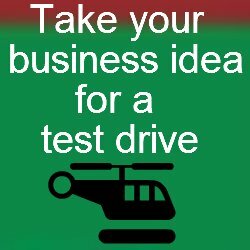 You are currently on the trading business ideas page. click here for more business ideas.